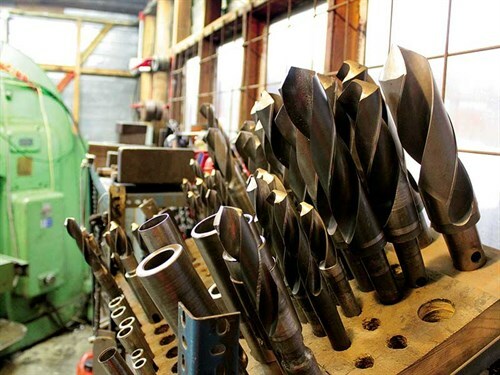 Diversification has become key for Christchurch’s Nimrod Engineering, both in terms of the products it offers customers as well as a wide range of bespoke engineering services. "Selling and manufacturing machine attachments is what we’re commonly known for, I suppose," director Mark Harrington says. "But we undertake any general engineering. We have some clever people on staff here, and I like to think our customer base knows and relies on us as a team that’s able to make anything they need." 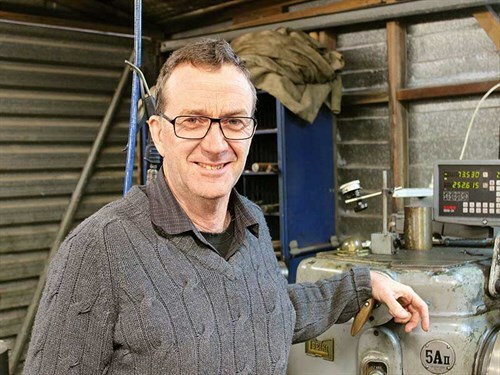 Mark has been with Nimrod Engineering since 2001, first as an employee of former owner Murray Jones and then as owner after he purchased the business from Jones when the economy started to emerge from the 2008–10 recession. "That was just a month before the first Christchurch earthquake. Things obviously changed a lot for us as a business after that. We were up to seven staff at one point as the demolition and rebuild projects simultaneously got underway in the city. We’ve evened out to four on the shop floor now though." Nimrod Engineering is both the reseller of a selection of premium-grade attachments and a manufacturer of its own designs for customers. However, the latter work is tough in the face of increased competition from cheaply made products from emerging markets, Mark admits. But he is also intensely proud of the quality of the work he and his team produce for the local industry. "When we get a customer, we want them for life. So we really want to offer anyone who comes to the workshop door great engineering work. "We have a pretty diverse array of customers—from independent builders, plumbers, and civil construction firms, right up to the likes of Fulton Hogan—and we offer a design and build service that includes the customer at every step of the way." 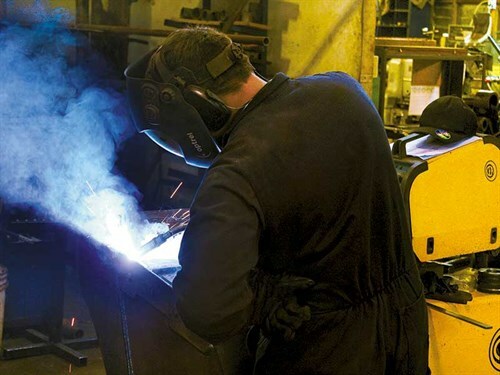 Nimrod Engineering’s own designs are completed through a consultative process with the customer, which includes 3D modelling of the concept before any metalwork gets underway. "We have some very talented people here. One of our apprentices had earned a mechanical engineering degree with honours before starting here. Like our customers, we look to our employees for the long term, too. It’s the best way to foster a sense of pride in the finished result," Mark says. 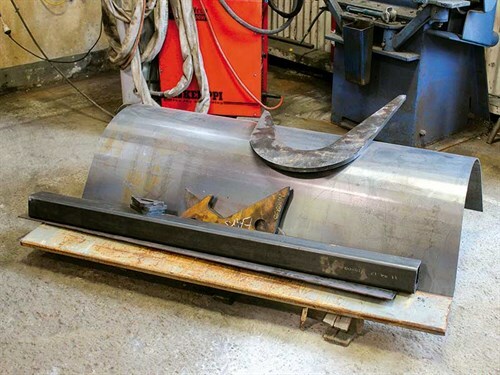 In addition to blueprinting and building attachments, the company offers a comprehensive list of general engineering services, too, including welding, milling, lathe work, line-boring—both in the workshop and in the field. "We also undertake any repair or refurb work that our customers need us to," Mark says. "Certification work for health and safety purposes is an increasingly large part of what we do as well. 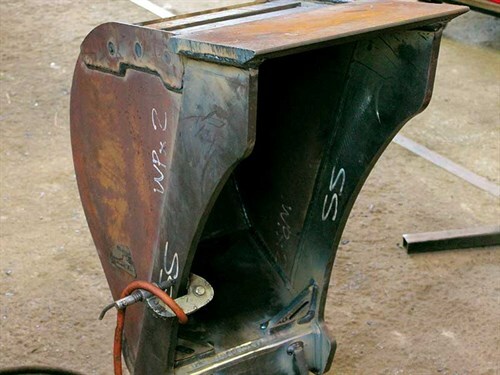 Chassis repairs, strengthening load anchor points and towing connections, and providing increased ROPS and FOPS protection has become that much more necessary in the industry, for example." Supplementing the company’s own work, Nimrod Engineering is also the official New Zealand agent for Miller hitches out of the UK, European-built KLAC hitches for smaller machines, and Rotoloc tilt hitches. Remember what I said about diversification? "Miller, in particular, was a real coup for us," Mark says. "This company is the biggest non-OEM manufacturer of hitches in the world, so we’re very pleased to be representing them in New Zealand. "They offer really high-performing, durable quick hitch couplers that work very well and enjoy a very good reputation in a number of territories." Naturally, Mark says Nimrod Engineering is always looking for ways of improving on its own designs, too. Product development in tilt hitches is pushing the way of double-locking systems now, he says; something Nimrod’s blueprints will incorporate. "We’re a small company, but we’re very ambitious," Mark says. "In order to advance our footprint, I think we need to get into more of the Auckland market. So much is going on up there that I see that as a way of expanding. "We’re not about to make any rash decisions, though. We’re confident in both our own products and the products we sell, and people trust us. The business will develop naturally. "If you can offer quality products, then developing trust is easier. So I guess the best way for us to grow will be through proof of concept, which is the way we’ve forged ahead to this point."